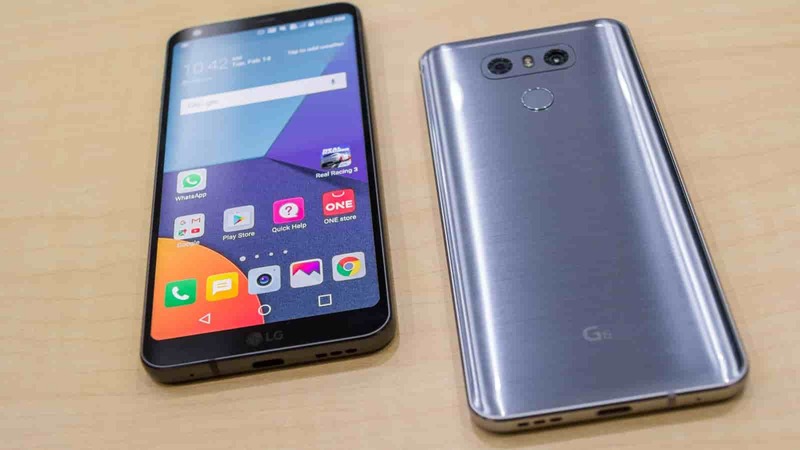 LG has always been the first to bring innovative concepts; The G Flex series with the curved body and display, LG was one of the first to move power buttons and volume rockers on the rear of the phone, modular design concept of LG G5 from Last year! The execution though didn’t translate well into either the consumer expectations nor did it help the company’s sales. This year with LG G6, LG once again is the first to launch a smartphone screen with unique 18:9 or 2:1 aspect ratio. This difference this year though the execution is perfect! Almost. A 5.7-inch QuadHD+ FullVision display with Dolby Vision™ & HDR10 is what forms the front of the phone. The unique 18:9 or 2:1 screen aspect ratio is what allows a large display to be sandwiched between a compact glass and metal, rectangular shaped frame, with shiny chamfered edges and minimum bezels. This phone looks awesome. With 80% screen to body ratio, the QuadHD+ IPS LCD panel is bright, colours are punchy and watching videos is a delight, barring, of course, the pillar boxing while watching YouTube videos. However, this should not be an issue for long, with most of the manufacturers are adopting and releasing phones with 2:1 aspect ratio (S8 & S8+, Apple is also rumoured to follow suit) on their phones, respective app developers might update their content accordingly. To top it all the phone is IP68 certified which is basically becoming a norm with flagship phones. It's good not have to worry about an occasional dip in or a splash of water. This phone feels great in hand, there are no protruding sharp corners or edges, even the dual cameras with dual LED flash and the fingerprint sensor/power button at the rear is flushed in. It feels like holding a sturdy piece of metal slab with soft rounded corners. The compact and classy looking phablet is easy to be used with one hand. It's available in three shiny colours Astro Black, Mystic White and Ice Platinum. The black looks stealthy but the platinum and white do a great job in hiding the finger smudges on the smooth shiny glass surface. LG G6 comes preloaded with Android Nougat 7.0, the latest version of android. The software features have been well optimised, the split screen functionality to run two different apps at the same time complements the unique 2:1 screen aspect ratio. The Snapdragon 821 processor is top of the line, capable and power efficient processor and no slouch when it comes to performance. Also with 4GB RAM and 64GB of internal storage with additional expansion of up to 2TB the phone is a powerhouse. Whether it's multitasking with multiple apps running the background or while playing graphic intensive games or apps with rich content and graphics like the #NXTMagazine this device never stuttered. The fingerprint sensor is super responsive and accurate. Features like the option to set up knock pattern to lock or unlock your device are unique on LG phones offers additional security to your device. The UI is quite user-friendly with multiple options to tweak the interface to suit your style. There is also an option to switch between home view with or without an app drawer. The Always on Display (AOD) feature is quite helpful but it impacts your battery life. There are so many other ways to get those all-important notifications without missing them anyways. Built in features like Smart setting wherein the phone will automatically detect your location and activity and perform a task e.g. you can set it to play the music when you plug in your earphones or you can assign it to go into silent mode as soon as you reach home. You should experience the convenience of this feature only after using it. LG G6 is one of the first devices to have the google Now integration built in like the Pixel XL. And it works just as great. You can make a call, ask for directions, search for content or information by just using your voice commands. ‘Ok, Google’ is all you need to say to get started. What’s great is that it gets better the more you use it, it learns and adapts to your usage patterns and makes recommendations accordingly. UX, however, is a different issue. On a phone which looks this good the UX is too cartoonish. Even the themes from the built-in themes store are average at best. It makes that gorgeous display look dull. I understand it’s a personal preference some like it some don’t and I don’t. We could always use third party launchers to resolve this issue though…but then again why should we have to? LG seriously needs you to work on this. This is one of the primary reason why I don’t use LG G6 as my primary device and daily driver. 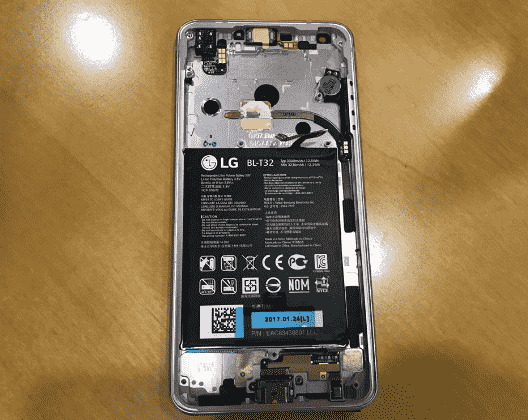 The LG G6 packs a 3300 mAh Li-Po (Lithium Polymer) non-removable battery. Initially, I was worried as this is the first time they have LG has moved away from their conventional removable batteries. But boy I was so wrong, the battery life on LG G6 is excellent. Point in case I start my day with 100% charge and even after listening to music over earphones with Hi-Fi DAC turned on full volume for about 90 mins the phone would still be at 100% now that’s phenomenal. Even with heavy usage, I have always ended the day with around 20 to 30% juice left. USB type C with quick charge 3.0 helps recharge the battery quick but it’s not the fastest. I understand that the for LG G6 models available in the US comes with built-in Wireless Charging, now that’s would have been a great feature to have but some reason best known to LG they have not. Also, the US version comes with only 32 GB of built-in storage and no Hi-Fi DAC! Well like I said reasons only best known to LG. 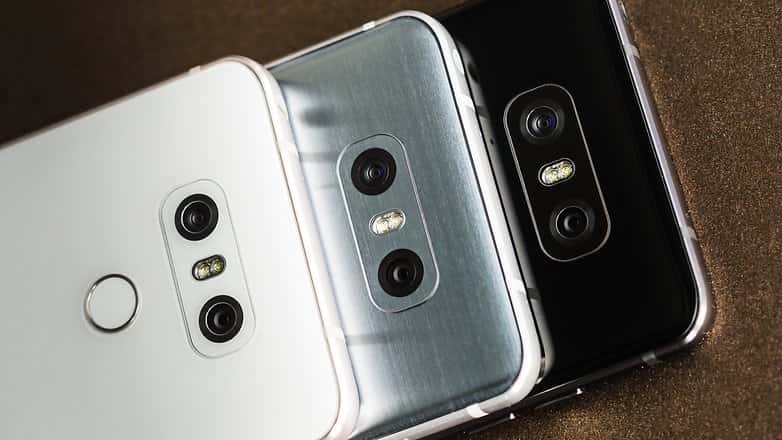 The dual cameras wherein both the lenses are 13MP in resolution, with F1.8 Aperture OIS – 71⁰ for the normal angle and F2.4 Aperture - 125⁰ for wide angle shots. With new improved sensors, the pictures taken are clear and sharp. The seamless zoom makes the transition from normal to wide angle smooth without a stutter. You can simply switch between front and rear camera by simply a swipe on the screen it so smooth and convenient. Also, the cameras have some cool tricks up it sleeves, and makes good use of the unique screen aspect ratio like Square Camera- It offers four camera modes; Snap Shot - you can see and review the last picture you shot while you can preview the next shot so that you can compare and select the best, Grid Shot – most fun using this mode, you can now instantly snap and create 2x2 collage of photos or 3 sec videos. You don’t have to go the gallery to select pictures or videos to create a collage. Guide Shot- this mode displays an overlay of a template image over the viewfinder so you can recreate the same framing. It’s a bit of a gimmick and one needs the patience to use this mode. And finally, the Match Shot – Well this is the second one I liked, in this mode both the front and the rear camera are turned on and you take a picture one from the front and second picture from the rear one. You can create those funny images with your head on top of some object or simply take a picture of an event or concert with an inlay image of yourself. It’s all left up to your creativity and imagination. There’s also option to shoot in Manual or RAW mode wherein you can adjust the contrast and white balance etc. Personally, I am more of a point and shoot guy ...and again this camera doesn't disappoint it's quick to focus and fast to snap pics. I find myself often shooting in wide angle now. Even the 5MP front facing camera can produce some great wide angle shots. Love the fact that even when I zoom in, the picture the quality doesn’t deplete much and noise level is minimal. Same goes with the video and audio recording, even in noisier environments with 2 high AOP mics you can capture fuller, richer, higher-quality sound without distortion. However, there one issue which I disliked, the screen is unresponsive with wet hands. Strange behaviour for a phone which has been certified to be used underwater. You can use it underwater to snap pics but you must use the volume rockers to do so. Well, not biggest of the issue though. To sum it up this would be my go to a device while travelling especially to regions with endless mountains, sea and landscapes to capture all those wide angle shots. The built in High-Quality Hi-Fi Quad DACs makes listen to music and audio a pleasurable experience through earphones. Though is not the loudest, it’s way better than some of the other flagships offer. The sound quality is crisp with good bass and clarity. There’s also an equaliser if you wish to further tweak your listening experience. 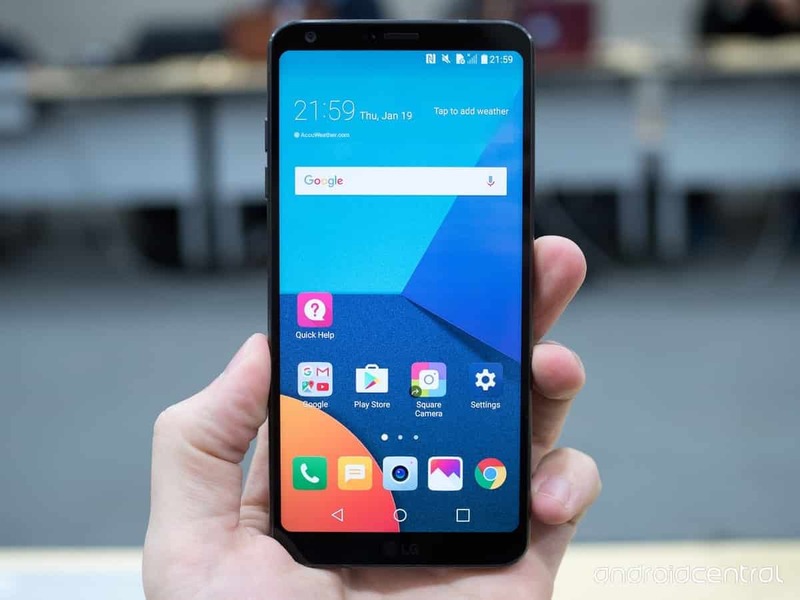 Overall, the LG G6 price in Singapore is widely acceptable for the mass consumer market. At least, you don`t feel the pinch to fork our S$830 for a fantastic smartphone and could have been perfect if not for the UX and the lack of built-in wireless charging for model available in Singapore if Samsung can so can you LG. But mostly there’s a lot of love about this phone. The best aspect is the large screen (pun Intended)! Great Camera, excellent Battery life and a premium design. You have to hold the device in your hands to experience how compact and comfortable it feels and fits in your hand compared to any other device you hold. If you are not into curved displays and prefer compact phablet I strongly recommend you get the G6. Get your #LGG6 at #HitecMobile.